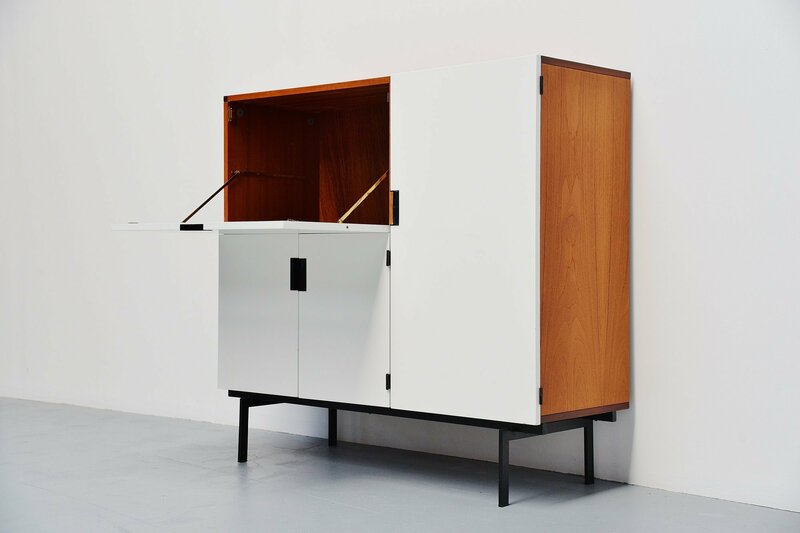 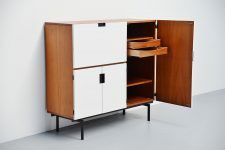 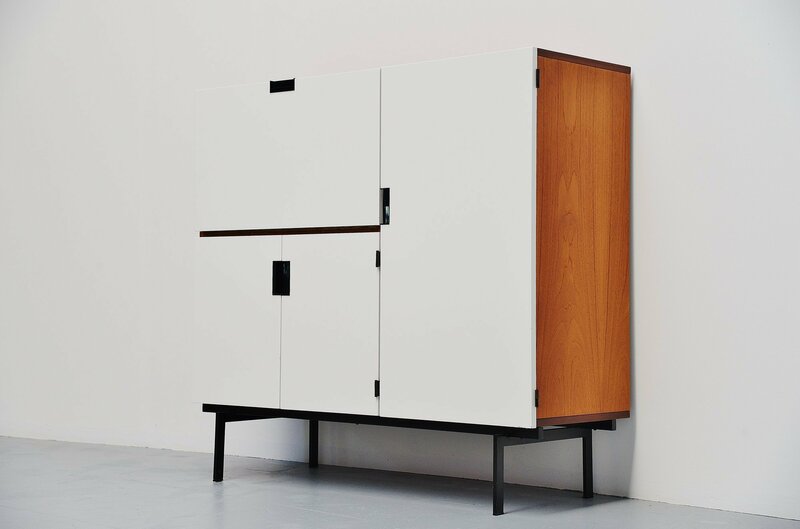 Very nice modernist cabinet designed by Cees Braakman and manufactured by Pastoe UMS, Holland 1958. 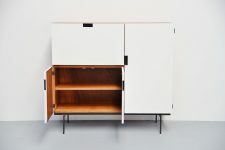 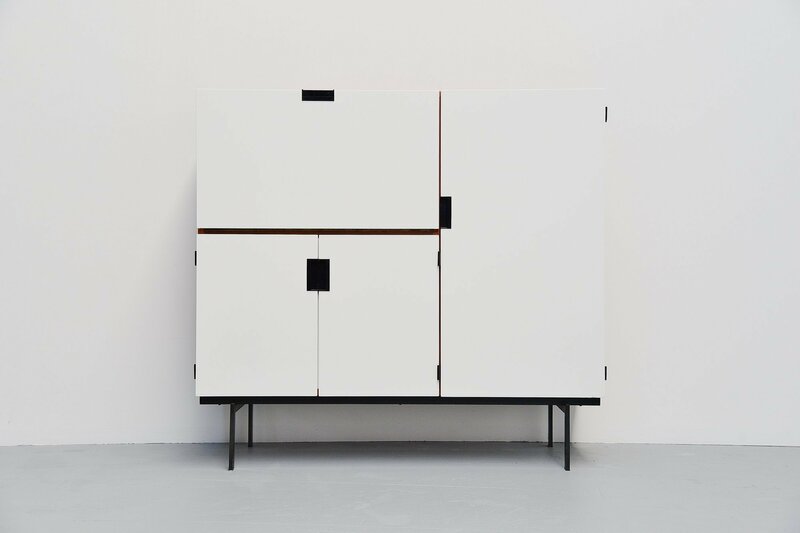 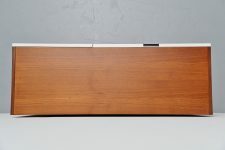 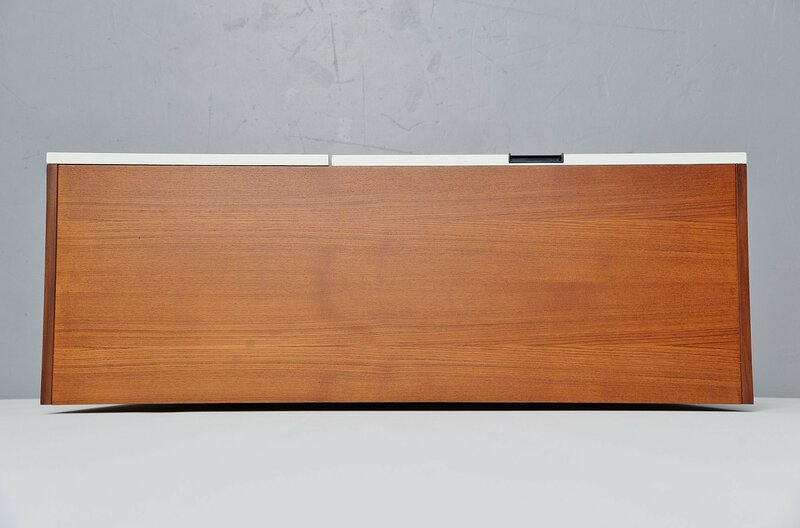 This minimalist cabinet from the so called Japanese series is made of teak wooden veneer and has a white painted front. 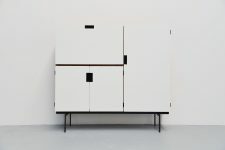 The grips are made of black plastic and the base is made of black painted metal. There are lots of storage options inside, with a folding top on the left top with a large storage compartment, below 2 folding doors with a shelve behind. 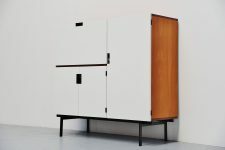 On the right a large folding door with a shelve and 2 drawers behind. This cabinet is fully refinished and in excellent condition because of that, very nice modern shaped cabinet that would work in any modern home or interior.